In April 2014 The Chancellor announced that the Government would fund a new £200 million polar research vessel to put UK scientists at the forefront of climate and ocean research in both Antarctica and the Arctic. 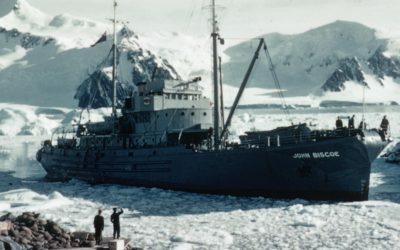 This ship, and the suite of modernisation projects which support it, represents the largest Government investment in Antarctic and Arctic science infrastructure since the 1980s. 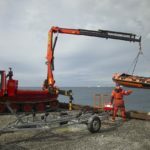 Commissioned by Natural Environment Research Council (NERC), procured by UKSBS, built by Cammell Laird and operated by British Antarctic Survey, this new research platform will transform how ship-borne science is conducted in the Polar Regions. 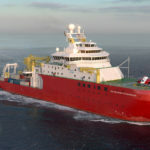 The RRS Sir David Attenborough will deliver world-leading capability for UK research in both Antarctica and the Arctic. 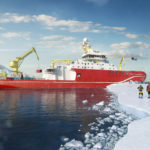 Frontier science: The ship will be a next-generation polar marine science platform, providing world-leading capability for UK research in both Antarctica and the Arctic. Built with future-proofed containerised laboratories, the new ship will enable exploitation of cutting-edge research technologies for years to come. 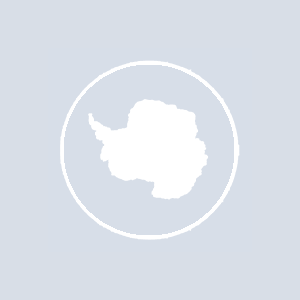 Greater geographic coverage and UK presence in the Antarctic: The new ship will have an endurance of up to 60 days unsupported at sea, enabling it to undertake longer voyages to open up new, remote locations for science. 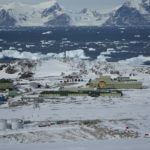 It will also reinforce the continuing British presence in Antarctica and the South Atlantic. 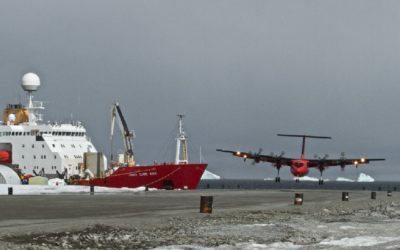 In addition to her research role, the RRS Sir David Attenborough will be a visible symbol of continuing British presence in British Antarctic Territory and the South Atlantic, South Georgia and the South Sandwich Islands. 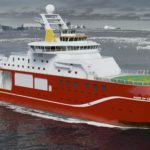 Spend to save: Over the 25 years of its predicted lifespan, the RRS Sir David Attenborough is forecast to save more than £100m of taxpayers’ money. 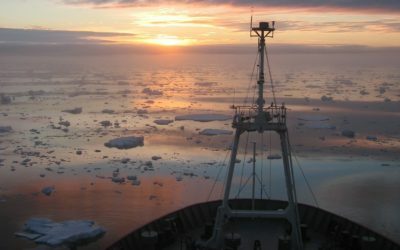 The New Polar Ship Programme is major Government investment to enhance and modernise the UK’s polar research activities. 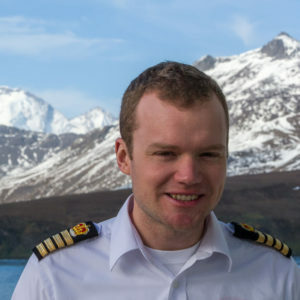 The commission of the new ship, and the suite of infrastructure projects at Antarctic research stations and elsewhere, is governed by a Programme Board, Chaired by NERC’s Chief Operating Office who is the Senior Responsible Officer for the programme. Senior managers from across NERC and BAS, together with representatives from the Department for Business, Energy and Industrial Strategy (BEIS), Cammell Laird, UKSBS and Houlder Ltd serve on this board. Two Project Management Offices (PMO), one within NERC and the other within BAS, work collaboratively to deliver this programme. Each PMO has distinct but complimentary roles. 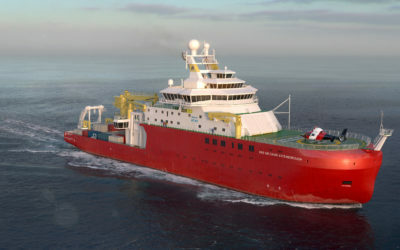 The RRS Sir David Attenborough will enable world-leading research in Antarctica and the Arctic for the next 25 years. 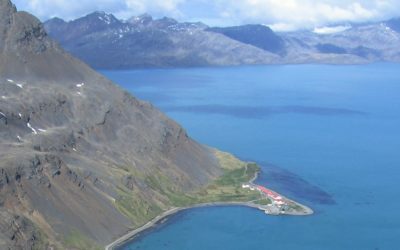 It will continue the UK’s long tradition of polar exploration and its position as a world leader in polar science. The ship is a multi-disciplinary research platform with flexible containerised laboratory system and capability to deploy state-of-the-art robotic technologies. When fully operational it will be available for the entire UK research community and for collaborative research cruises with international partners. These features ensure our continued standing as one of the best countries in the world to do science in. The new ship will carry a large number of scientists who will undertake research using its specialist labs and facilities. 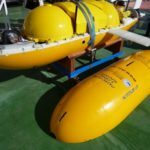 It is designed to enable ‘silent running’ to enable environmental monitoring and to have good dynamic positioning for instrument deployment through its moon pool. 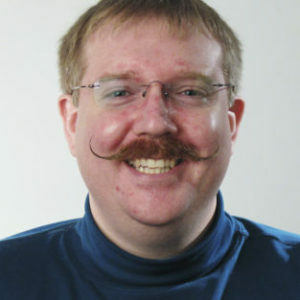 Its flexible, future-proof container labs will ensure that the ship remains state-of-the-art throughout its life. 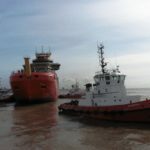 Birkenhead shipyard Cammell Laird won the contract to build the ship against stiff global competition, showcasing excellence in British industry and securing hundreds of jobs and apprenticeships in the North West during the construction period. 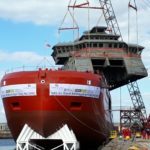 The RRS Sir David Attenborough is currently under construction at Cammell Laird shipyard in Birkenhead. The illustration below demonstrates the sequence in which the ship will be assembled over the next 18 months from several blocks. 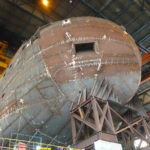 As of April 2016, a total of more than 1,800 tonnes of steel have been fabricated for the hull of the ship; this is more than a third of the total. 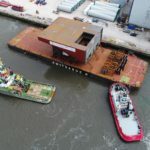 The two main propulsion motors, designed by Rolls-Royce and weighing 115 tonnes each, have been installed successfully. 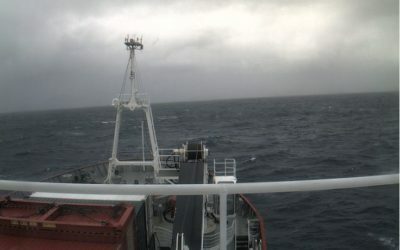 The ship will also be equipped with bow and stern thrusters, allowing it to navigate in close quarters and to maintain position in rough seas, enabling scientific work to continue even in challenging conditions. 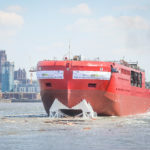 The stern thrusters, manufactured by North East England company Tees White Gill, have been installed into the hull – they each weigh 15 tonnes, stand 3m high and produce 1,576 kW of thrust. 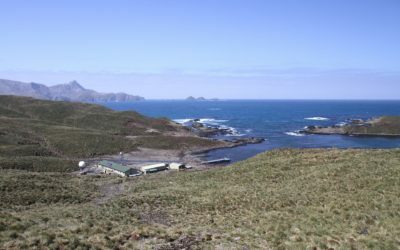 We work closely with researchers from a wide range of disciplines to ensure that the new vessel and research stations are equipped with relevant and suitable laboratory spaces and scientific equipment. We collaborate with NERC and government stakeholders to ensure excellent public accountability. 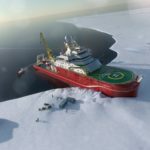 The new ship will have a greater capability to break and travel through polar sea ice than the existing UK polar research ship. It will also be able to stay at sea for longer and carry more scientists and technicians. 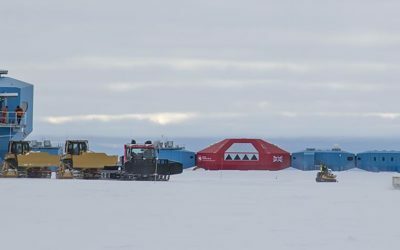 This increased capability and endurance will enable UK scientists to undertake research safely and efficiently in previously inaccessible ice-covered areas of the polar oceans, and also in currently accessible areas during winter when ice-cover might otherwise prevent access. 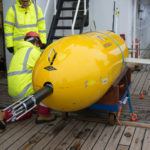 The new ship will be able better to exploit UK marine robotics capability through deployment of a new generation of autonomous and remotely-operated vehicles in polar regions. 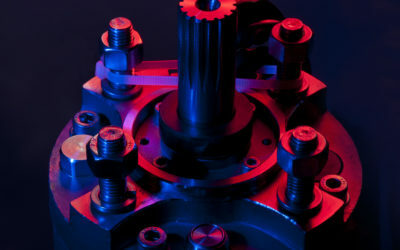 It will also incorporate enhanced communications and data handling capabilities to enable real-time data delivery and remote UK-based instrument operation. 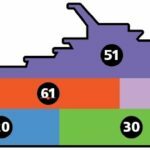 As an analogy, it will be the equivalent of an aircraft carrier, acting as a central platform controlling deployed instrumentation in a surrounding theatre of science operation. This enables efficient and optimal use of research resources and time. 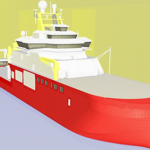 The new ship will be a state-of-the-art multidisciplinary science platform and the UK’s largest and most advanced research vessel. 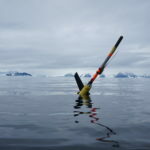 It will enable cutting-edge science across a broad range of disciplines (physical, biological and chemical oceanography, marine geology and geophysics, and atmospheric science) required to understand the impact of a changing polar environment on our planet. 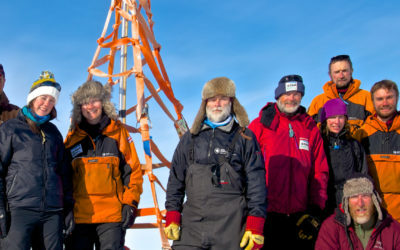 In so doing it will help maintain the UK at the forefront of polar research. 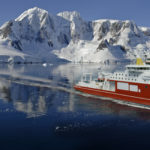 Operated by the British Antarctic Survey (BAS), the ship will not only be the platform for British Antarctic Survey’s science teams, it will be available to the whole UK research base including postgraduate students. Its greater endurance will enable longer voyages, which coupled with the use of collaborators’ helicopters will ensure significantly greater geographic coverage. 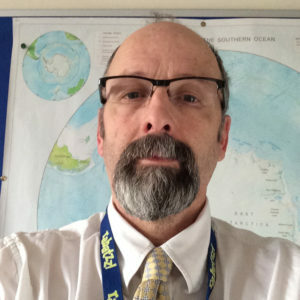 The RRS Sir David Attenborough Programme Board is chaired by the NERC Senior Responsible Owner (SRO), who takes executive responsibility for decisions relating to the Programme. 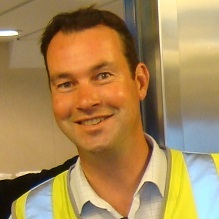 The SRO is responsible for providing approvals and decisions affecting progress and delivery throughout the Programme. 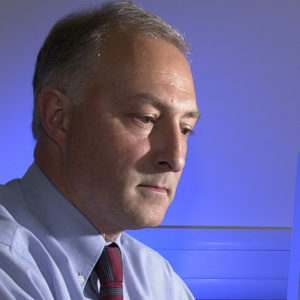 Paul Fox, Chief Operating Officer at NERC, is the SRO for the RRS Sir David Attenborough. 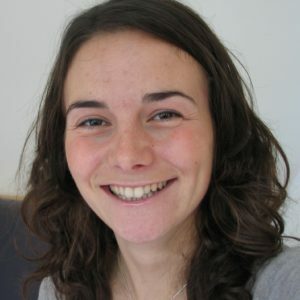 The other members of the Board represent those senior managers who have an interest in the Programme and whose activities will be affected by the Programme; these individual also represent the end users in order to promote their concerns and interests. Additional experts may be invited to attend as necessary to provide input to decisions made by the SRO and the Board on such subjects as naval architecture, operations, science, engineering, finance, legal issues, commercial issues and procurement. 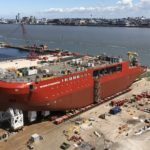 Rolls-Royce is marking a major milestone on the journey towards the completion of Britain’s new polar research vessel the RRS Sir David Attenborough being built by Merseyside shipyard Cammell Laird.